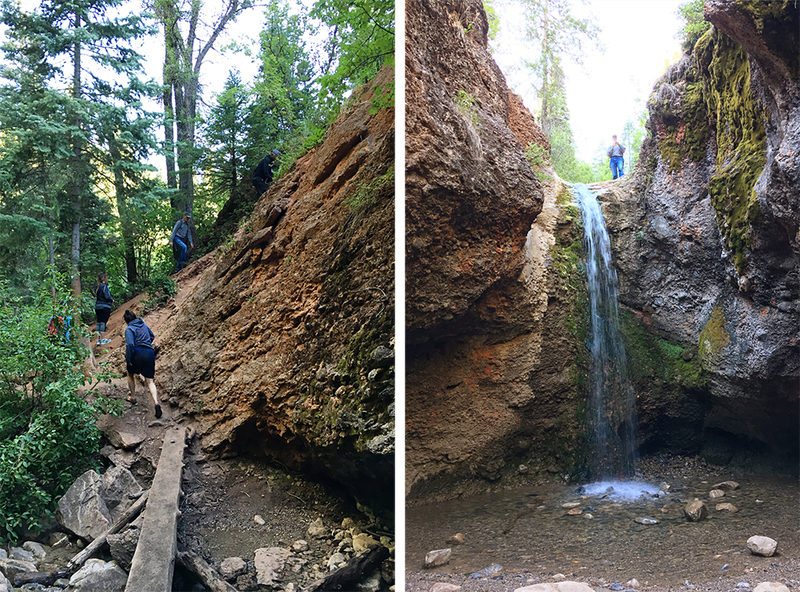 From the red rocks of southeastern Utah to the mountains of northern Utah, the next stop on the KBS Adventure Tour is Grotto Falls. So any time I can get up into these beautiful mountains it’s a very good day. 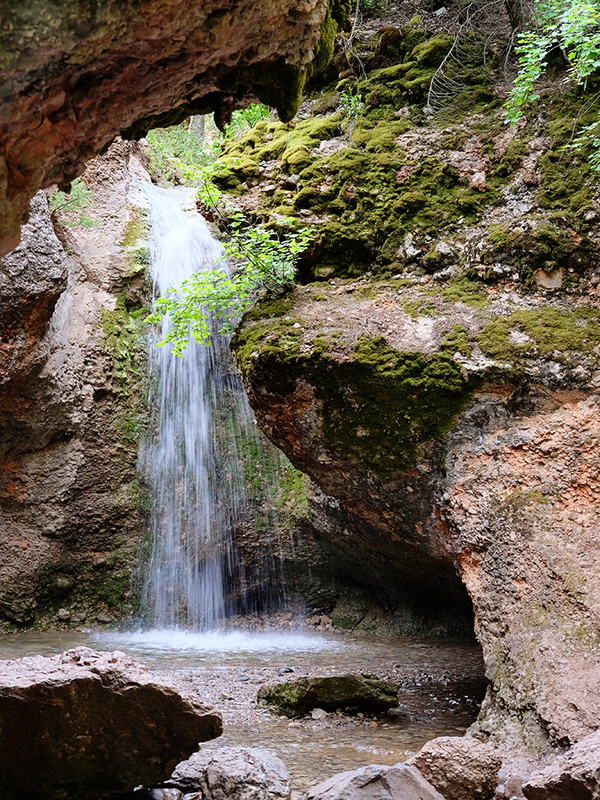 And oddly enough, Dan and I had never heard of Grotto Falls until last year….and he grew up in Spanish Fork, which is the next town from Payson, which is the canyon where you can find Grotto Falls. Last year when Zach mentioned an article that showcased top waterfalls to go see in Utah, that was one of them. After reading that article last summer, it became my quest to see as many waterfalls as I could. Since it was relatively close, it made my list. And not only did we go once, we went again a couple weeks later when family from California came! 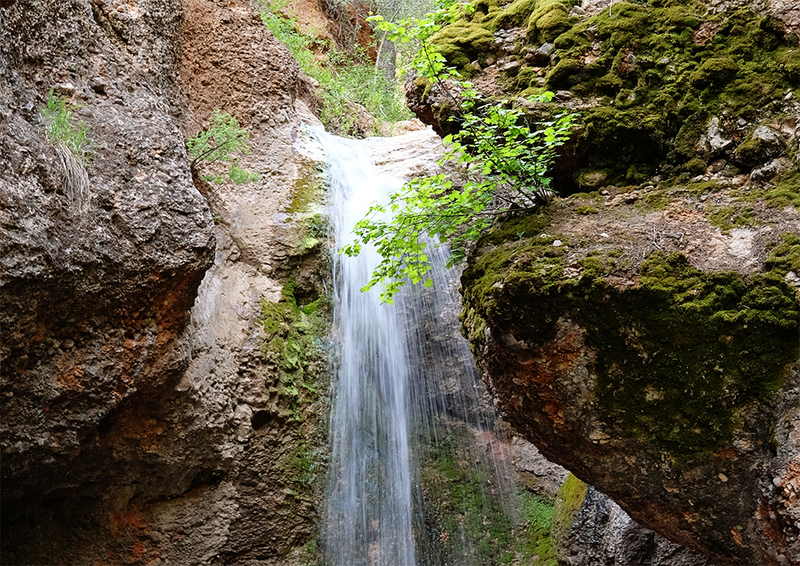 The falls is about seven miles up Payson Canyon along the Nebo Loop. There is a small parking lot on the inside ‘u’ part of a switchback turn of the road. The hike itself is on the outside part of the ‘u’ (across the street). 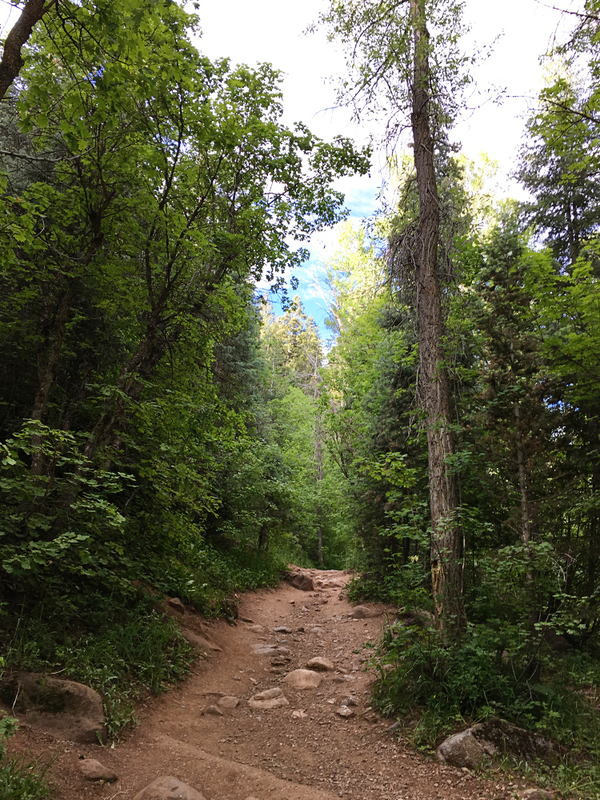 It is just over 1/4 mile to get to the falls with very little elevation gain, about 200 feet. Great for kids. Wear some kind of water shoes if you want to get in the water. The biggest ‘elevation gain’ I think happens in the very beginning It’s not bad though, really. 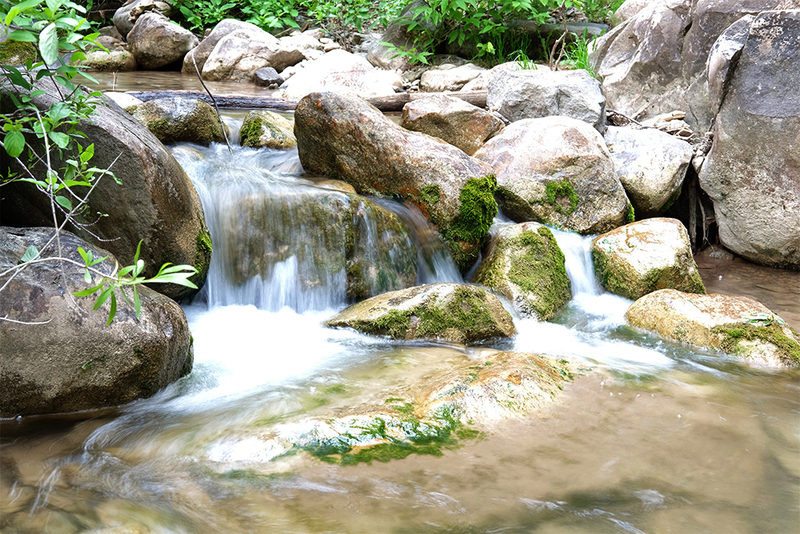 Pay attention along the way for glimpses of the little river. 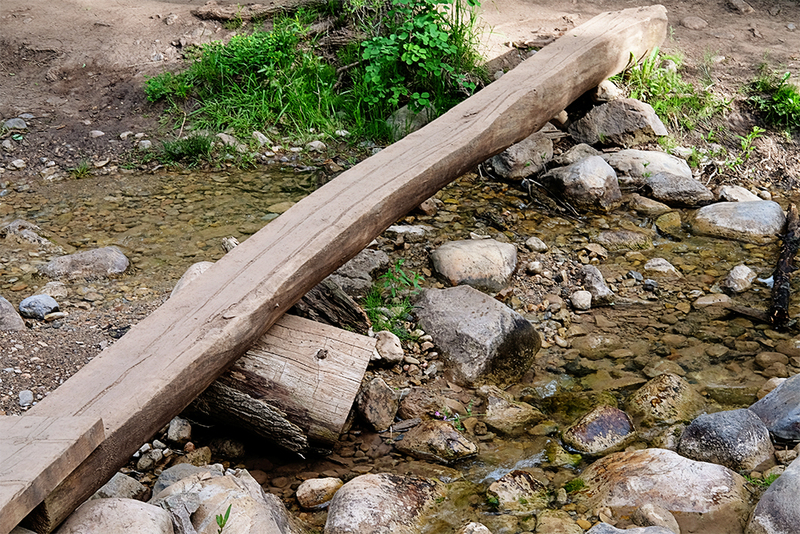 As you work your way up the hillside you’ll cross this little river in a few places on wooden planks, which is so nice to have so if you don’t want to get your feet wet, you don’t have to. 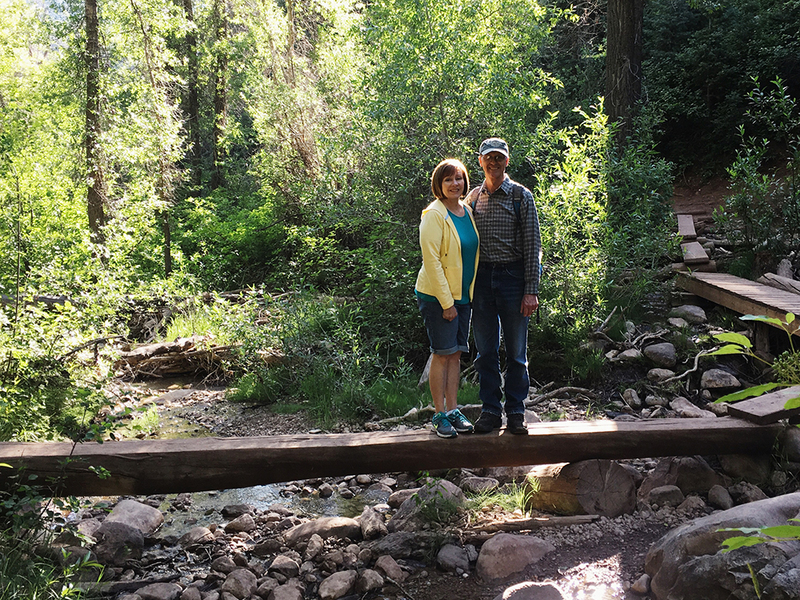 And just so you can see a little more of the area and the planks and bridges you cross, here’s a pic of my sis and hubs–but notice all the planks to the right of them. And after your hike, I highly recommend running on into Spanish Fork and get yourself a Super Cheese at Glade’s. It’s one of those home-town-been-there-forever hamburger drive-ins. I’ve never gotten anything but a Super Cheese there in my 30 years. And just for fun, here’s a little live video–with a cameo appearance from Zach…just for proportion’s sake.